Travel Truths is a series about facts, practical tips, awesome advices, and plain truths I know of a place based on first-hand experience. Judging from the love letter I have written for El Nido, you must have known by now how crazy I am for this little corner of paradise. Simply put, this place wowed me to the core! I was blown away the first time I went there in 2012. 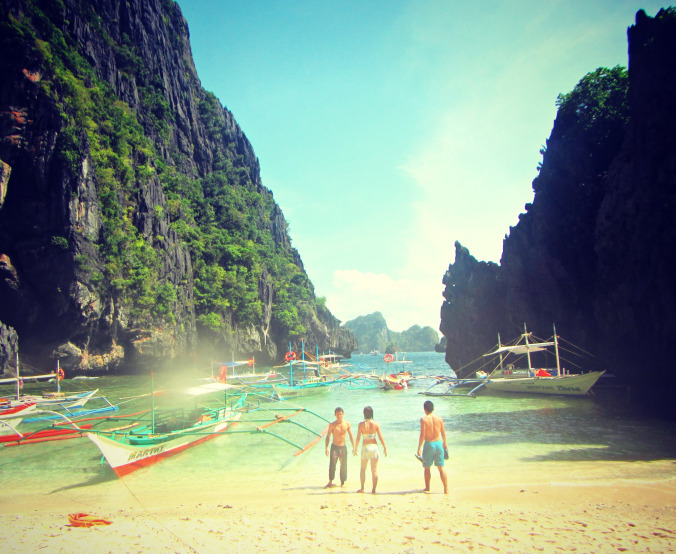 Fast forward to 2014, on my third visit, nothing has changed—I’m still completely awe-struck about El Nido. That thing they told you about a place losing its magic after your first visit? This holds no truth about El Nido (at least in my case and that of many others). The 5-6 hour land travel from Puerto Princesa to El Nido is absolutely tolerable. No need to fear the warnings over rough roads. Trust me when I say, you’ll do completely well. But, to each his own. If you really dread the long ride and all those zigzags (approximately one hour of the whole travel duration), you can opt to for the night bus (RoRo bus or Cherry Bus both departing from San Jose Terminal in Puerto Princesa at around 9:00-10:00 PM) which can take you to El Nido in as fast as 4.5 hours. 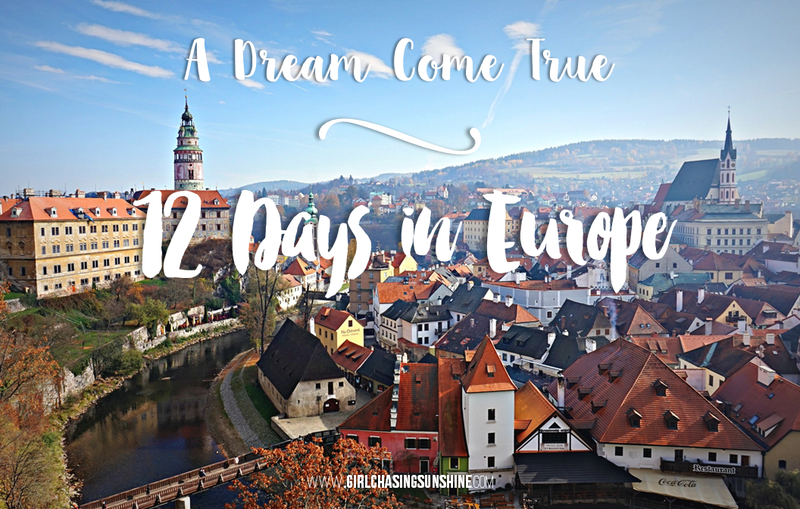 You can sleep through the ride and even save on a night of accommodation costs. And you get to awe over the hues of the sun rising above the picturesque Cadlao Island. 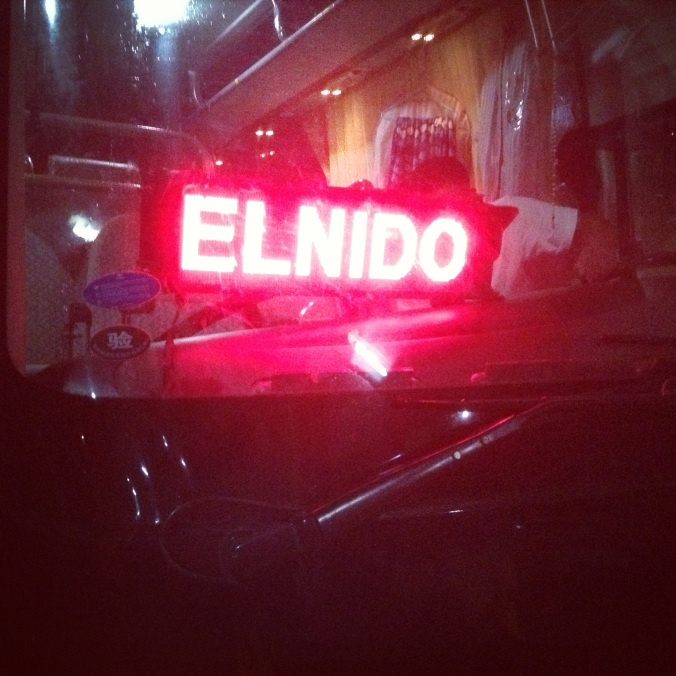 I always take the night bus going to El Nido. Cheaper, faster, and safer (at least in my experience, so far). And if you do take the night bus, you’ll arrive in El Nido at around 3:00 AM to 4:00 AM. You must have pre-arranged your accommodation but if not, fret not. You can stay at 1BR Restaurant along Calle Hama. Just make sure to order something—their bulalo is good! 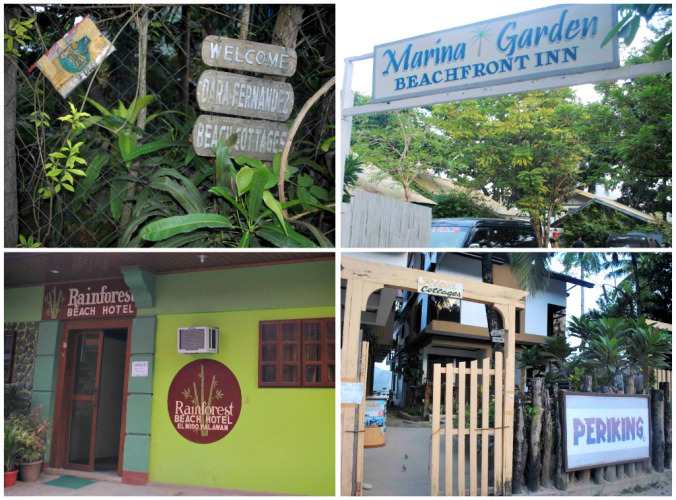 There are several accommodation choices in El Nido whatever category you choose—budget, economical, midrange, expensive; good for one person, couples escape, family getaway; beachfront, smacked at the town center, away from all the chaos; native hut, concrete building, cottage; luxury hotel, guesthouse/inn, homestay; and the list goes on! Choose your own poison and enjoy every moment of your stay. 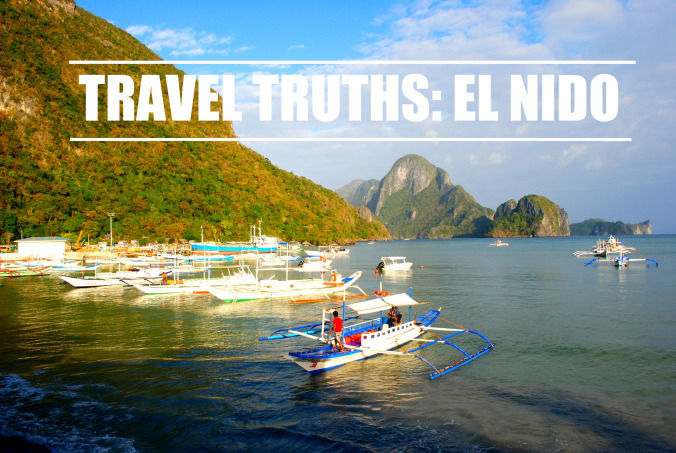 El Nido is a remote town so do not expect a 24-hour electricity. Power is only available from 2:00 PM to 6:00 AM. Some hotels and lodging houses have their own generators that cover period in between. So don’t forget to charge your devices, if you have to. If you have to prioritize tours, I say, take Tour C first! I know, I know, we always say we must save the best for last but it’s the tour that always gets cancelled! 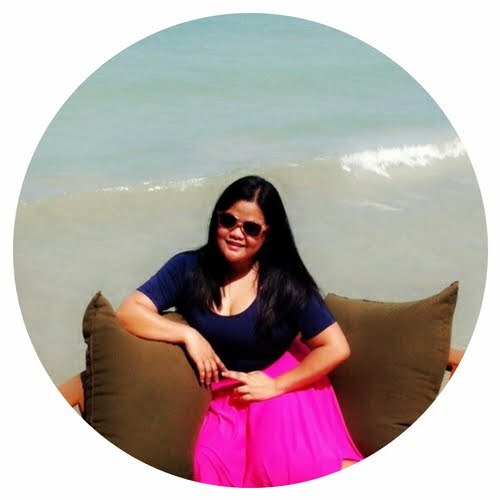 Just a simple change in the weather can make or break your grand El Nido vacation. This tour can’t be missed, I tell you. There is a one-time Php200.00 Environmental Fee (excluded in tour rates) when you go island-hopping. But please do your share for the environment in your own simple ways—never leave your trash, don’t make wiwi in the water, please. The island-hopping tour rates have increased dramatically since my first visit in 2012. Back then, Tour A costs Php700; Tour B was Php700; and Tour C was Php900. Today, you’ll have to shell out Php1, 200 for Tour A; Php1, 300 for Tour B; Php1, 400 for Tour C. This already includes island hopping, entrance to sites, tour guide, snorkeling gears and a to-die-for lunch! Though the island-hopping tour rates have increased dramatically, these kinds of views are still worth it. No need to pre-book island hopping tours. 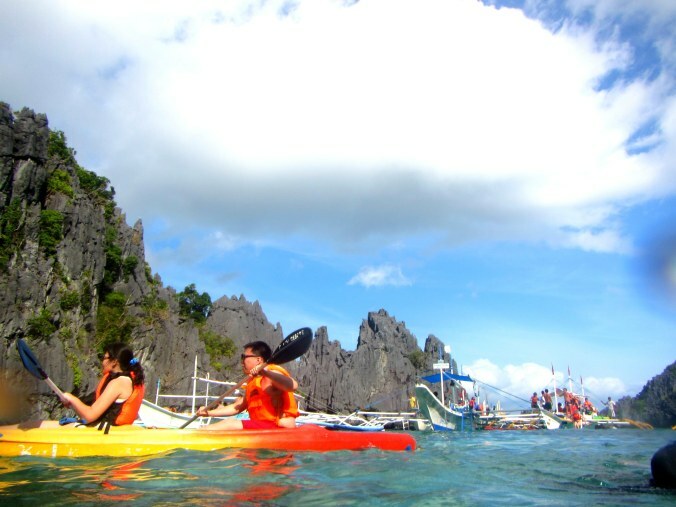 You can reserve once you get to El Nido. Plenty of tour agencies abound at the town center. 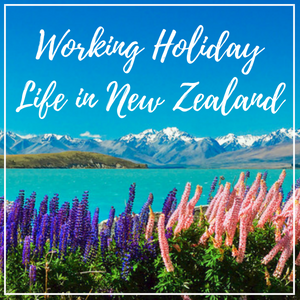 But if you want to save a bit, you can try emailing Northern Hope Tours prior to your tour dates. They give decent discounts to early reservations. Whatever you do and wherever you go in El Nido, you absolutely should not miss going to The Alternative Inn and Restaurant. If you can only have one postcard-perfect photo of yourself in this island paradise, The Alternative’s hanging wooden terraces (called ‘Nests’) is the ultimate backdrop. It’s the coziest chill-out space I’ve been to. My 2014 postcard-perfect photo at The Alternative. 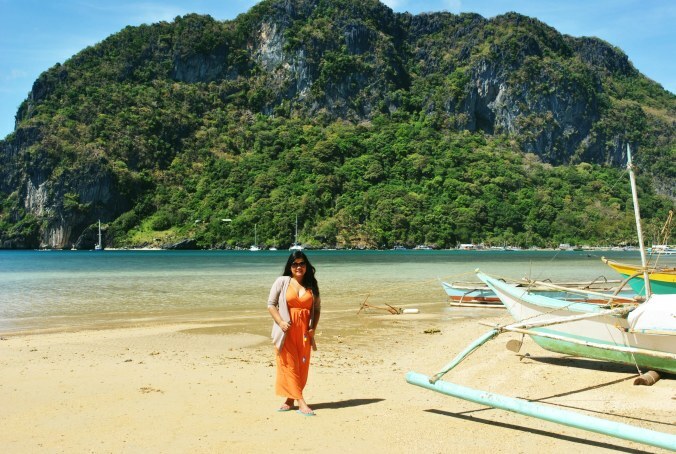 You can see two beaches side by side in El Nido and it’s a view to behold! From the top of a hill, you can feast over the one of the most beautiful sights in the Philippines—two beaches, a pristine shore, a coastal village, and palm trees against the backdrop of the stunning sea. The climb is worth it! The Nacpan-Calitang Twin Beaches is a 45-minute drive from El Nido town center (we hired a tricycle for Php800 good for 2 pax in January 2014). The twin beaches of Nacpan and Calitang. To get this shot, you have to hike a nearby hill. Tour A (often called the Lagoon Tour) is best enjoyed with a kayak! The lagoons, particularly the Small Lagoon, are a great place to kayak around. You can rent one from your tour operator. A couple kayaking through the entrance of Small Lagoon. While a normal point and shoot camera (wrapped in plastic!) 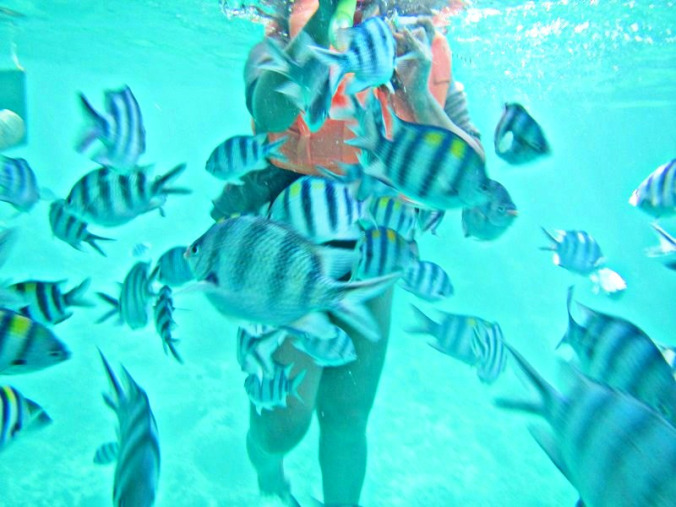 would do, El Nido island hopping tours are best experienced with an underwater camera. If you don’t have one, you can rent from your tour operator as well (we got ours for Php700 for a whole day in January 2014). You can use your own memory card or copy the files once the tour is over. We found the most affordable decent meals at Skyline Restaurant (along Rizal Street) and 1BR (along Calle Hama). 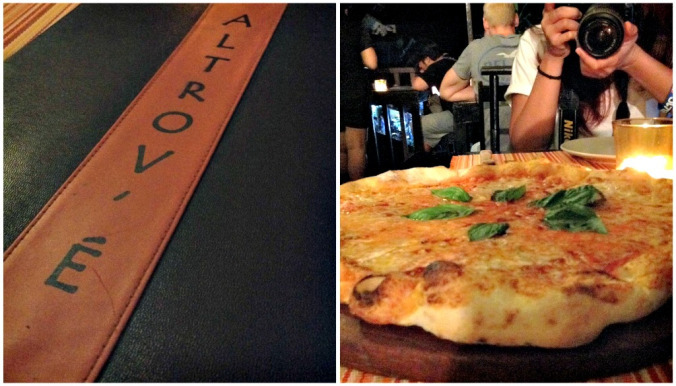 Meals range from Php50 to Php200.But if you want a little splurge that’s totally worth it, you have to try Trattoria Altrove (Calle Hama corner Osmena). As the name suggests, it specializes in pizza, pasta, and anything Italian. For me, it’s the best restaurant in town (TripAdvisor agrees)! Love the food, the vibe, and the owners. Sunrise and sunset-viewing is stunning at El Nido town but it’s most awesome at Corong-Corong town (just a 5-minute tricycle ride from the town center). The best part? You get to enjoy the view peacefully as there’s not much crowd here compared to El Nido town. Hotels and lodging houses in this area are also available. Enjoying a peaceful, sunny day around Corong-Corong. There is a quaint Gawad Kalinga (GK) Village in El Nido. 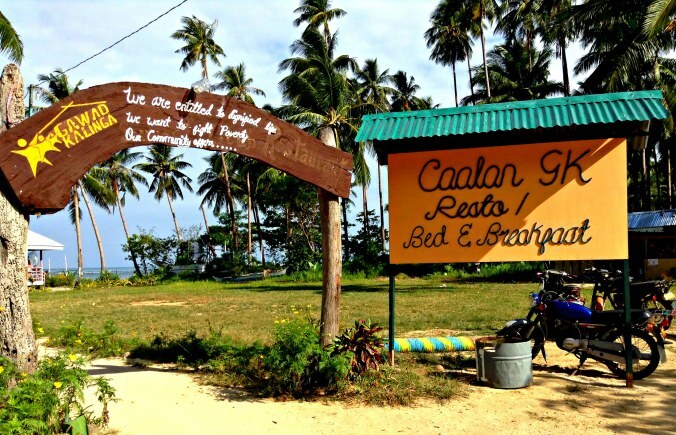 It's located in Calaan which can be reached through a 5-minute walk from the shore. It's not just your ordinary GK Village because apparently, they operate a lodge and a restaurant. Try to drop by for a visit. One of the most breathtaking Gawad Kalinga villages I’ve seen so far. Glad you liked it, Heather! 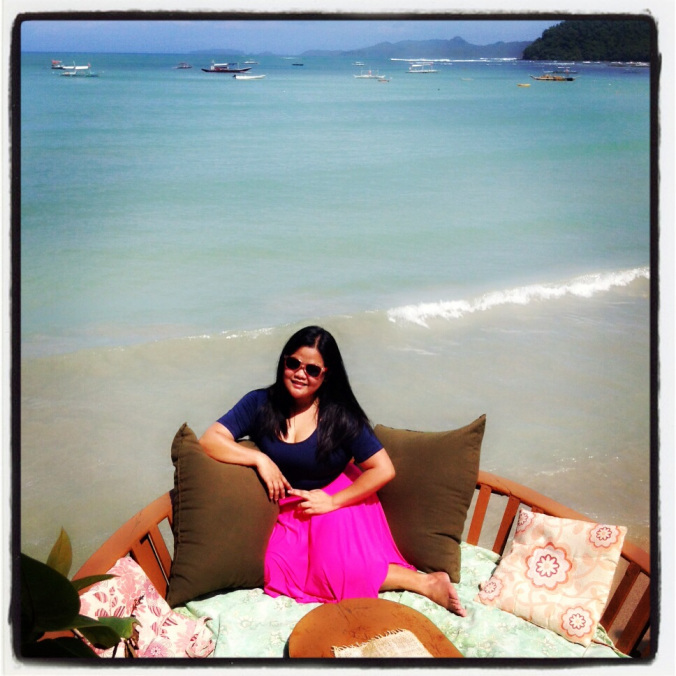 You definitely should go back to El Nido! :) Just let me know if you have questions so I can help you. Hi legit ba ang northern hope tour? Anong agency pa ang mababa mag bigay? Thanks!